I loved this session! That day started out drizzly and gloomy, but toward the afternoon, the sun came out and the light was insanely gorgeous! Little P, at 14 months, was a dream to photograph (and the camera loves her!). 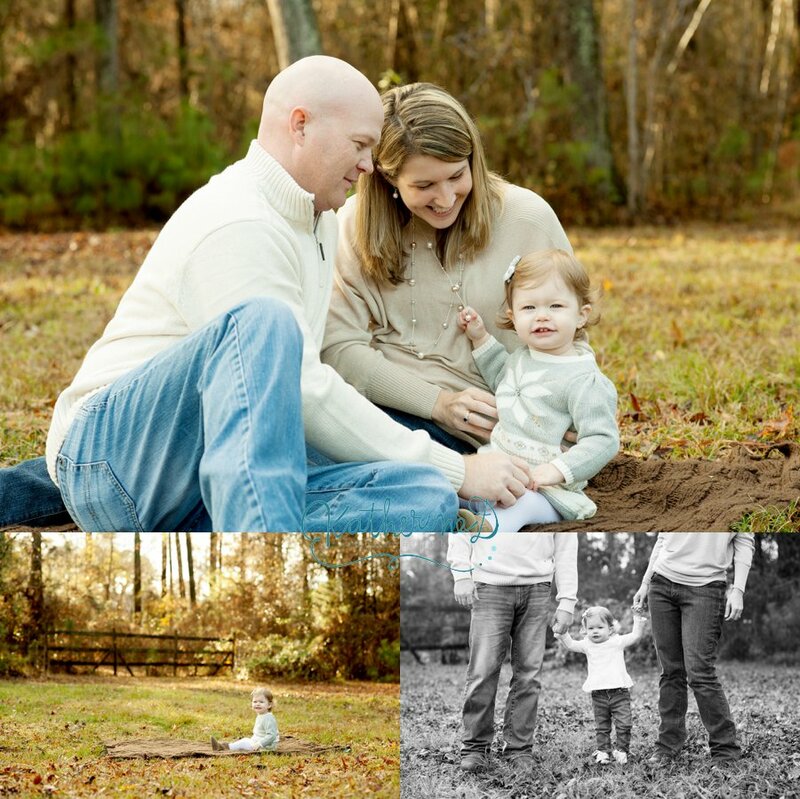 Miss P and her family came out to have their session on my property, located just outside of Fayetteville. We had a fun time playing and enjoying the beautiful light! Don’t forget to book your session today!! 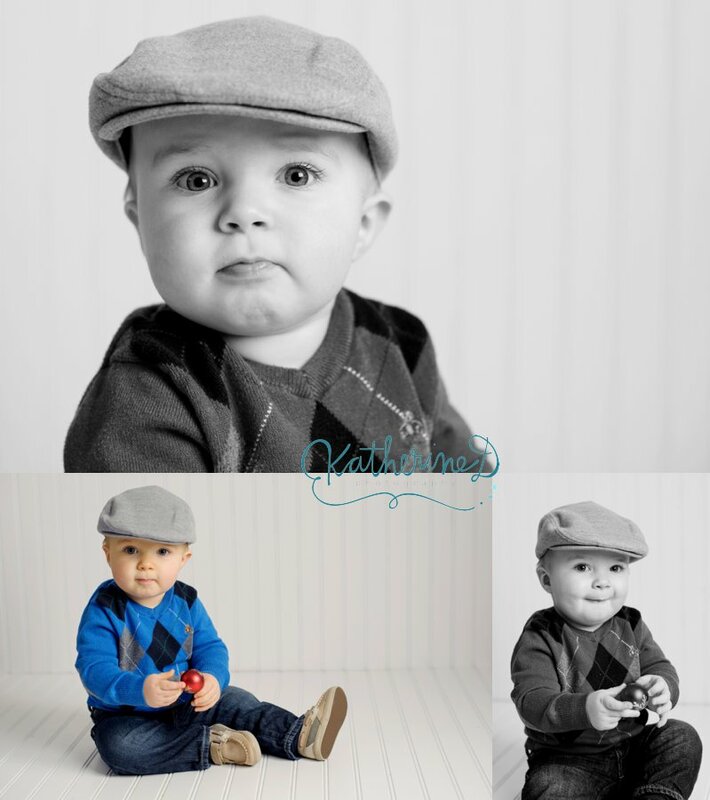 Email me today at katherine@katherinedphotography.com to book your session today! These are such lovely images!! 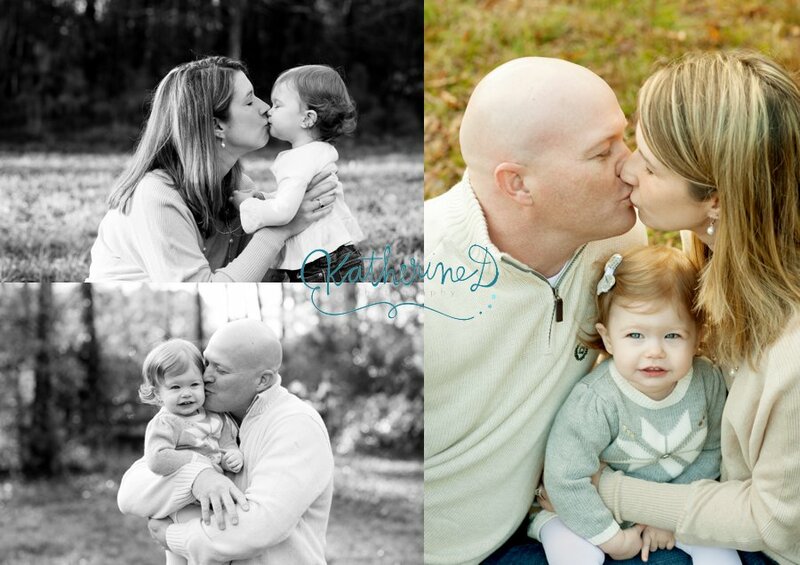 What a great looking family and gorgeous little girl. I bet they’ll have trouble choosing images! Great job as usual! This sweet girl did not want her photo taken! It may have taken us two different times, but I was able to pull off a beautiful session! Got some really beautiful images and check out that one with mama! Isn’t it stunning?? Don’t forget to book your newborn session!! 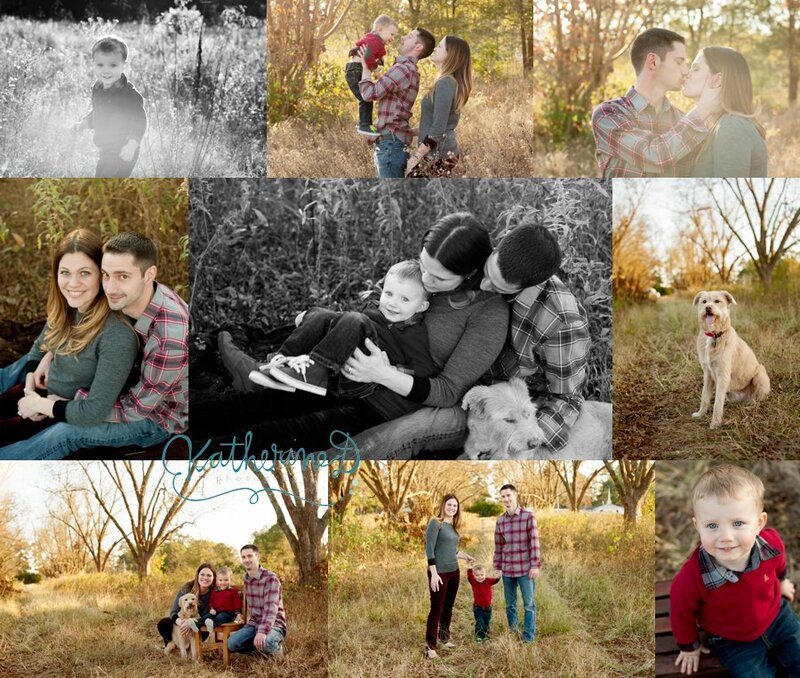 Email me today at katherine@katherinedphotography.com to book your session today! 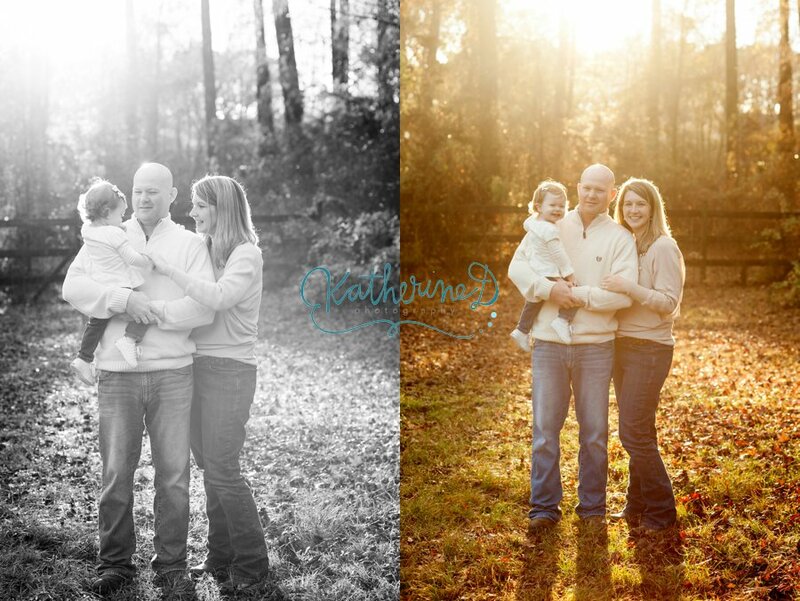 In November, I had the pleasure of meeting this beautiful and fun family at a great outdoor location just outside of Fayetteville, NC. The leaves had already dropped, but the light was incredibly gorgeous that day! Little J took a bit to warm up to me, but as soon as he did, we had lots of fun! J Family, it was so great to work with you! Can’t wait to do so again in the future! 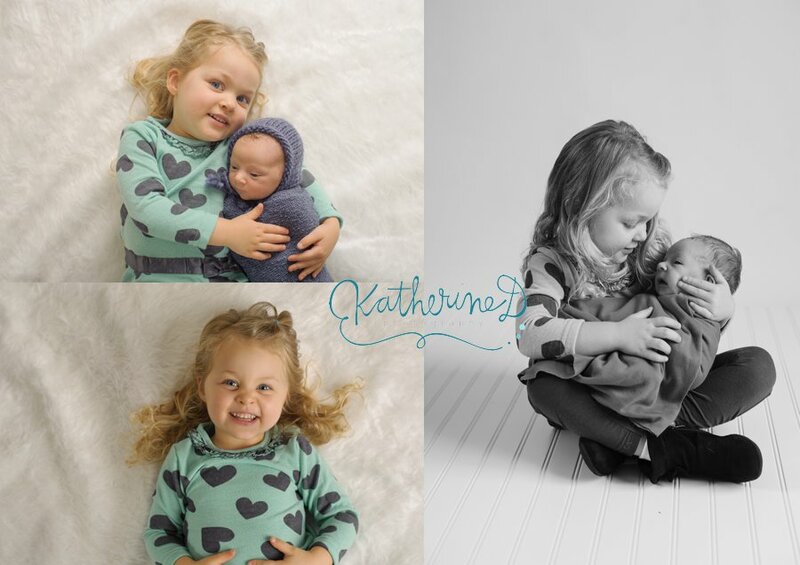 Email me today at katherine@katherinedphotography.com to book your session today! 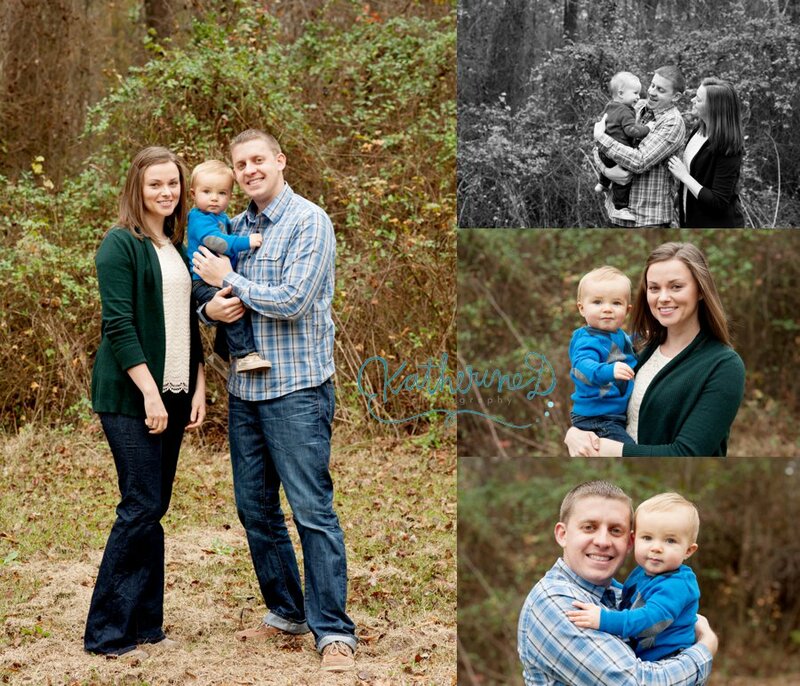 Back in November, this beautiful family came to my in-home studio just outside of Fayetteville, NC. It took us a little bit of time to get him to sleep, but once we did, he was amazing for us!! I was so in love with all of his images! 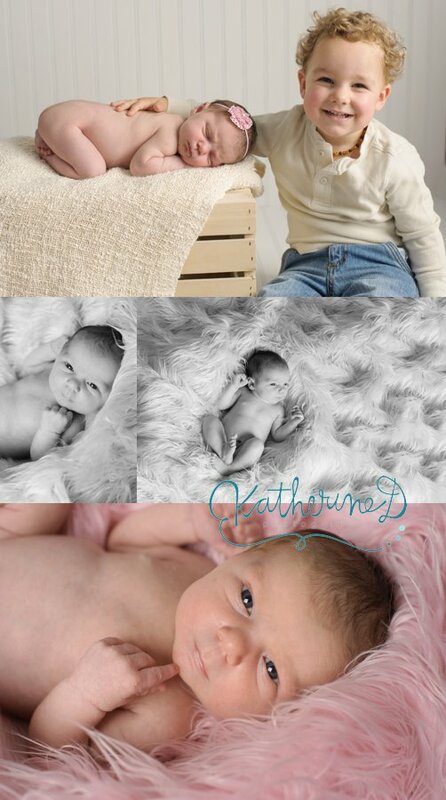 Don’t miss out on newborn portraits! If you’re pregnant, book now! Did you already have your baby and the clock is ticking? I have availability for a few more newborns! 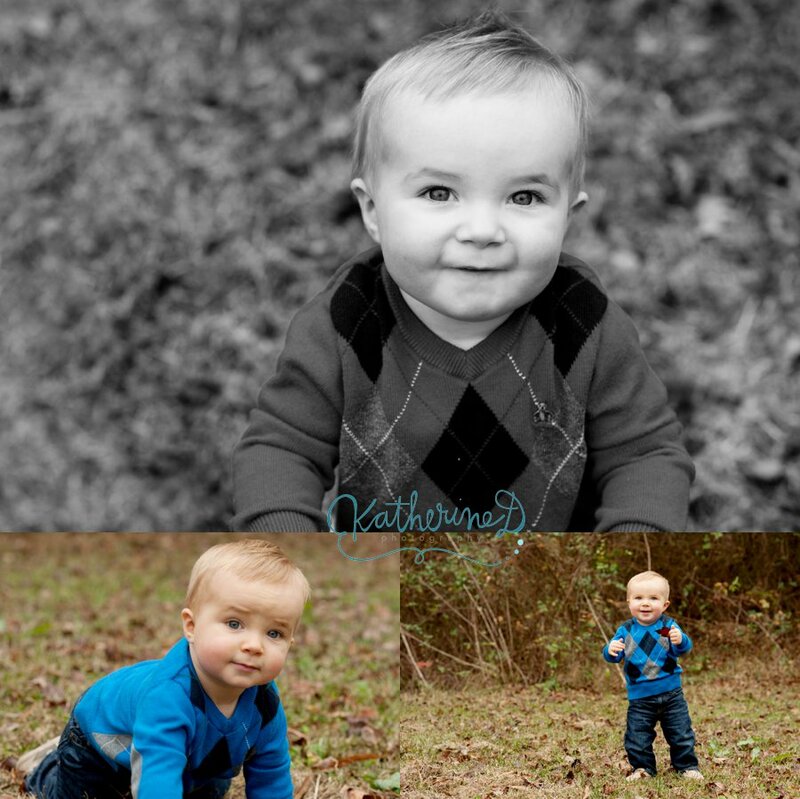 Email me today at katherine@katherinedphotography.com to book your session today! What a sweet newborn! 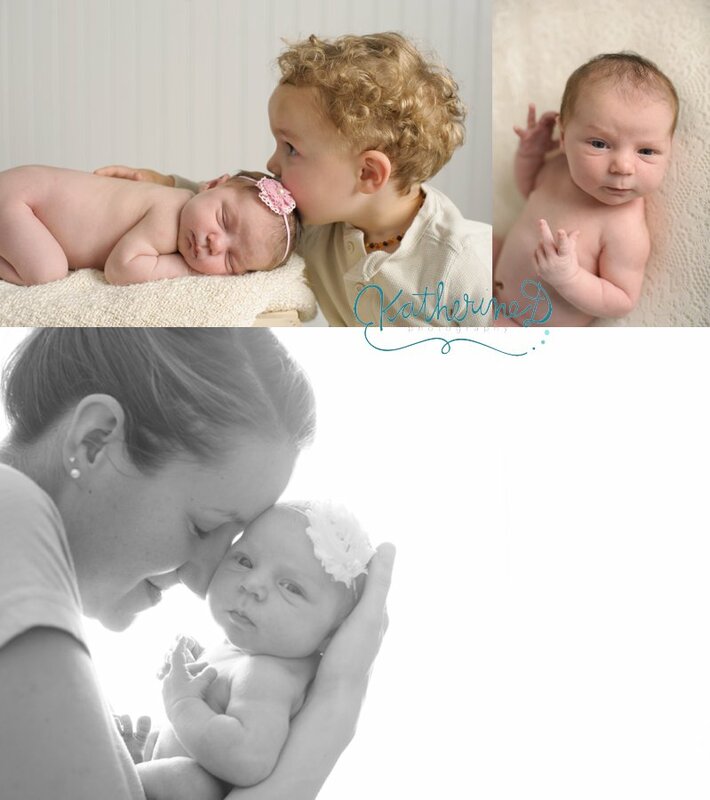 You’ve got a lovely set of images, I love the sibling and parent shots! What a beautiful little newborn! And an adorable big sister too! Back in November, I got to meet this cutie pie and his family!! 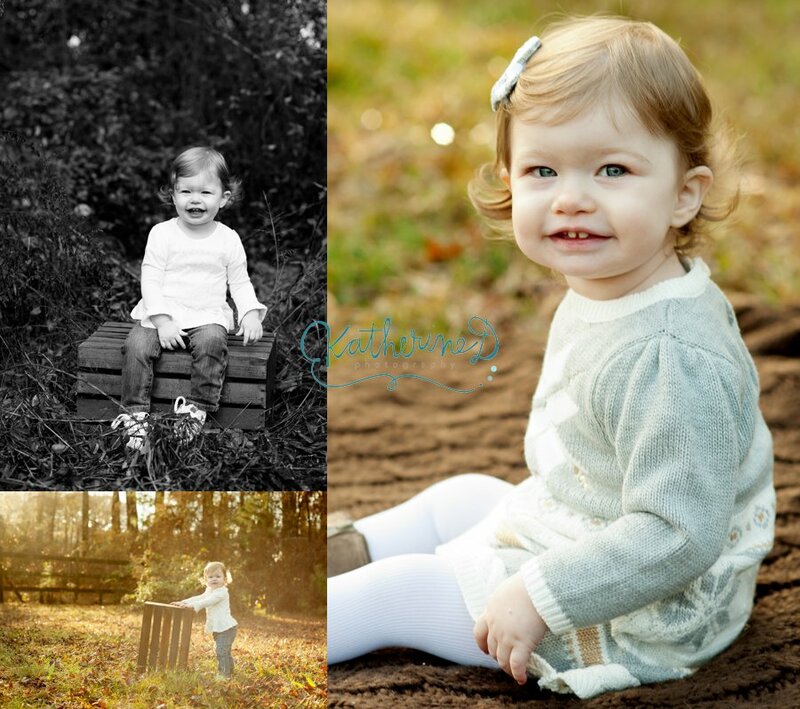 We got to take a variety of outdoor and studio photos for his one year session on my property and studio located just outside of Fayetteville, NC. 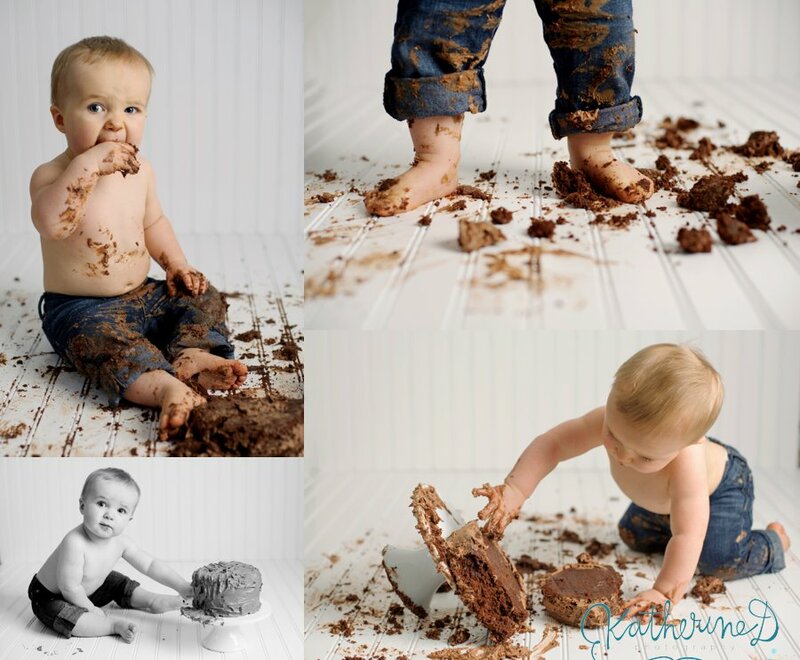 Mr. N wasn’t too keen on his cake, but that’s the beauty of cake smashes! You never know how they are going to react! Don’t forget to book your session today!! I am now booking for all sessions! 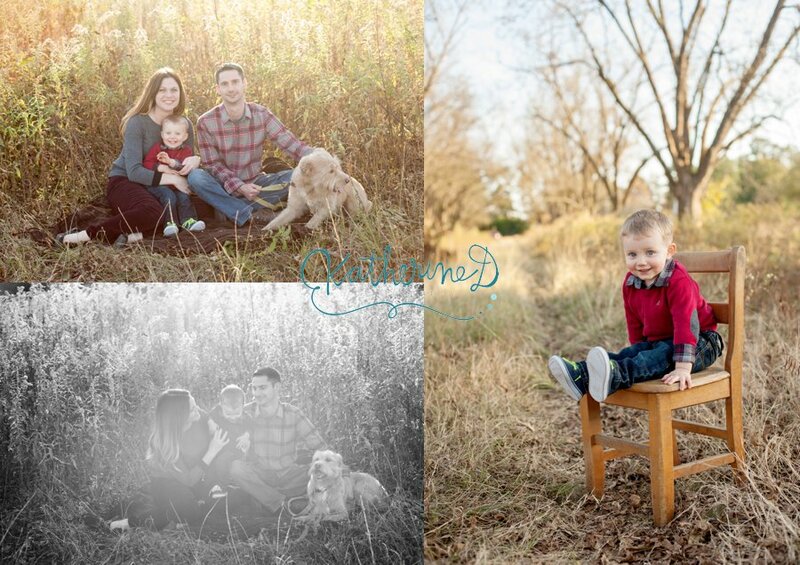 Email me today at katherine@katherinedphotography.com to book your session today!